Please can parents be aware of the few changes on our Uniform lists. All students are to wear blazers. White shirts are to be worn in Years 7-11. (However if you have already purchased a blue shirt for Years 10 & 11 this will be fine for the next academic year). The Governors and staff of Newquay Tretherras are proud of the smart appearance of our students and are very appreciative of the support that parents have given in maintaining the standard of uniform, which has become a feature of the school. Details of the uniform are shown below and we would ask that you continue to support our drive to improve standards. NT Blazer Navy Blue with Proba Tene badge – exclusively available from Studs Sports at St Columb Major. 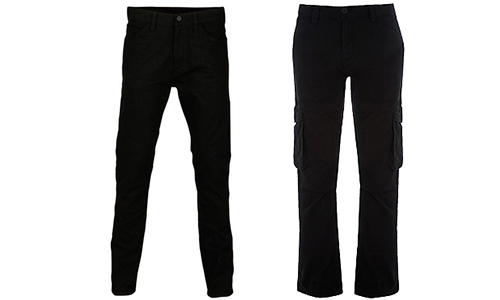 Trousers/skirt – (Black only) – Trousers must be tailored (i.e. not jeans, chino or casual style) for boys or girls. 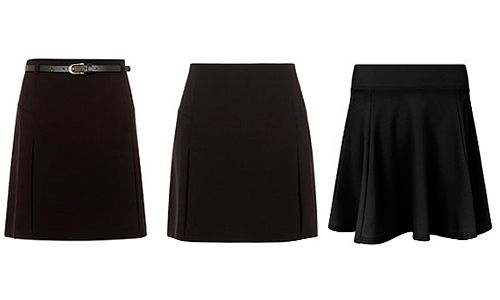 Knee length skirts must be of the approved type – these are now available from Studs Sports at St Columb Major. Shirts/blouses – White shirts only with collar and sleeves (not sports/ polo or T-shirts). Shirts must always be tucked in. Clip on NT School tie – navy with school badge (obtainable from school). Socks/tights – Must be plain white, grey, navy or black. Shoes – PLAIN BLACK, flat or low heeled. Extreme Hair cuts/Make up – The Academy does not permit students to have haircuts or styles that could serve as a distraction to others, or to have unnatural colours in their hair, which detracts from the smartness of their appearance. Tattoos are not permitted. No make-up or nail varnish is allowed in the Academy and those wearing it will be expected to remove it. Jewellery – Jewellery is not allowed, except that if ears are pierced then one small stud/sleeper in each ear is permitted. No nose piercing are allowed. 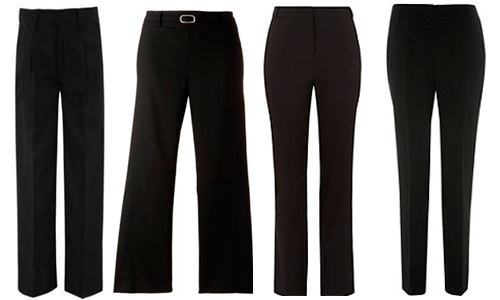 Trousers/skirt – (Black only) Trousers must be tailored (i.e. not jeans, chinos or casual style) for boys or girls. 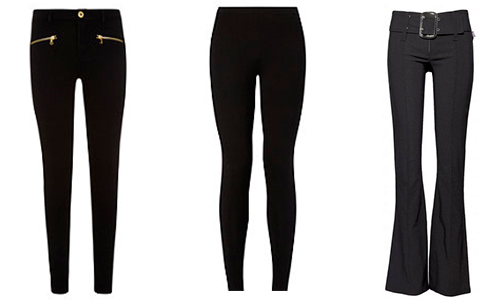 Knee length skirts must be of the approved type – these are now available from Studs Sports at St Columb Major. Clip on NT School tie – navy with school badge (if a new one is required) – obtainable from school.